The World Economic Forum in St. Petersburg has started with a keynote speech from Dmitry Medvedev. He criticized the global economic system and put forward a number of solutions. The Russian President encountered some problems with the microphone at the beginning of the speech but successfully fought through. Dmitry Medvedev apologized for the windy and rainy weather in St. Petersburg, but noted that it probably reflects the world’s current economic realities. The president went on to say that despite the grave economic situation worldwide and that the challenges facing us are still enormous, the world may have averted the worst scenario, though it is definitely too early to celebrate. “It is too early to pop open a bottle of champagne, as some analysts say the crisis is a long-living plant. Those who were supposed to analyze and co-ordinate the measures to relieve the crisis have proved to be inadequate. They were not flexible and too slow. The international financial organizations, to speak frankly, were not able to fulfill their functions. This was clearly stated at the past G20 forums. Also, our pre-crisis analysis of international economic tendencies has been correct,” commented Dmitry Medvedev. “They say the crisis will be over by 2012 at the earliest, but I believe those who think so are probably wrong”. At some point, the rain became so intense the forum organizers even started handing out free umbrellas – to help their guests brave the elements. But to weather the economic storm, simple fixes may not be enough. It is the second time that President Dmitry Medvedev has spoken before the St. Petersburg Economic Forum. This year’s speech was built around many issues raised back in 2008. In 2008, Medvedev actually predicted the economic downturn. Back then he said that the current financial system was very much skewed towards certain countries, headed by the US, and was not stable. This year’s speech focused equally on the origins of the crisis, as well as offering some solutions. “We do not need massive new international laws, we need transparent and efficient rules of the game. They should motivate everyone to act rationally, from market players to market regulators. We need actions which can ensure steady growth, not hinder it. We need to implement the G20 decisions on reforming international financial institutions. We cannot limit this to merely cosmetic changes, even if this is the option that certain states, or the institutions themselves, would prefer,” warned Medvedev. According to Dmitry Medvedev, one of the main reasons for the global crisis was the common reliance on the American currency. The Russian president said he has nothing against the US Dollar, but it was simply too dangerous to rely on a single reserve currency which has put the whole world into dependence from the microeconomic situation in just one country. 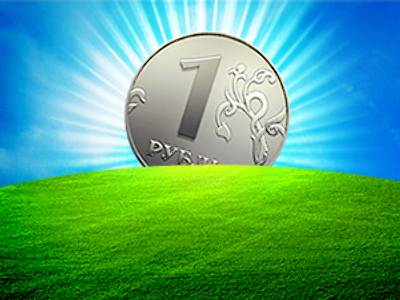 Once again Medvedev suggested and promoted his idea of making Russian Ruble a regional reserve currency. “No national currency should be appointed to the world’s reserve. The task of the Russian Federation is to make the Ruble a more attractive, convenient and reliable method of transaction for all those ready to use it,” Medvedev asserted, expressing the motivation for the measure. Investors will eventually see the Ruble as an appealing and reliable way to invest money, said the Russian president, pointing out that the shortest way to do so is to sell Russian commodities for Russian Rubles. Dmitry Medvedev also attended the conference on oil prices being held at the Summit, which attracted huge attention from the participants of the forum, since oil prices are continuing to grow steadily. “Nobody knows what the oil price will be in three months, how it will change and how much it will be affected by fundamental factors,” Igor Senchin, Russia’s Deputy Prime Minister pointed out. Regardless of how high the oil price is at the moment, said the Russian president, Russia is preparing to diversify its economy from the raw-material-intensive economy to one based on innovation and technology.